For these shoes pictured I used a size E hook. 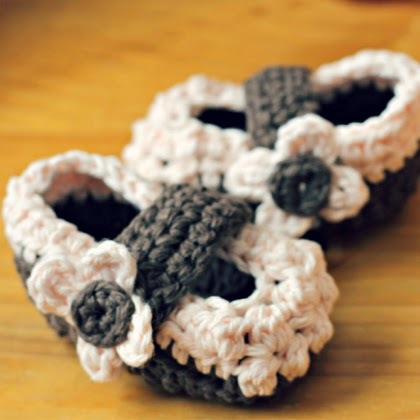 I'm thinking the shoes will work for sizes 3-6 months. You can make the shoe different sizes by using different hooks. I used a size H hook for shoes for my one year old.